There's no doubting Lifeline as the main medic character in Apex Legends, as she's the only one that has an ability to heal her teammates with. 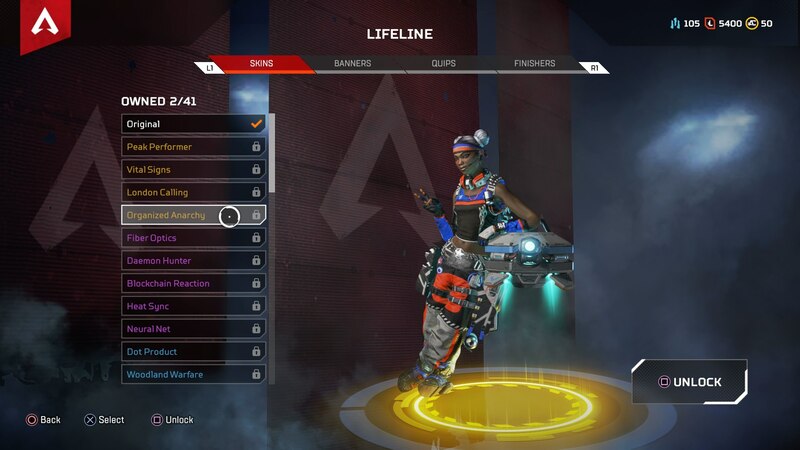 In this Apex Legends Lifeline guide, we'll be putting together all the details you need to know about this character, including her backstory, abilities, legendary skins, and more. However if you instead need any additional information on Respawn's battle royale game, you can head over to our Apex Legends tips page. It's here that you can find not only a full list of essential tips and tricks that all aspiring players should know, but also an index of even more guide pages on the game. Ajay Che is the real name of the Lifeline medic in Apex Legends. As a child of wealthy war profiteers, Che abandoned her home, and enlisted with the Frontier Corps, a humanitarian organization, in an attempt to repair the damage her parents had done. At the age of just 24, Che has signed up for the Apex Games in the hope of obtaining the funds necessary to keep the Frontier Corps running. 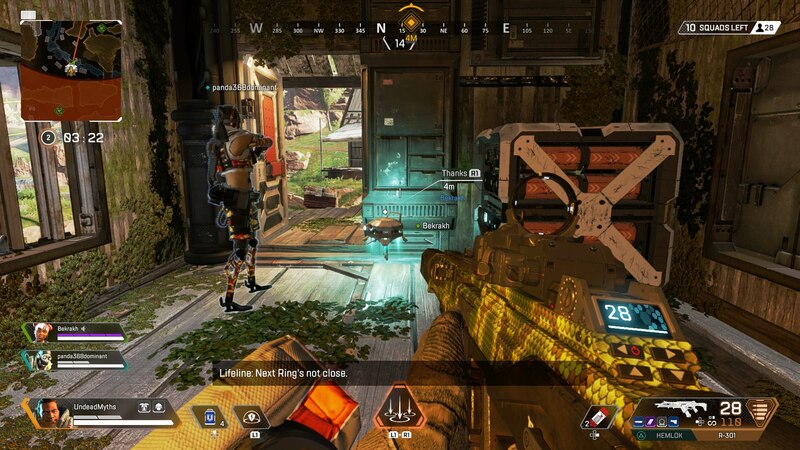 Ajay Che, also known as Lifeline, has three unique abilities in Apex Legends. While her passive ability is always present, you'll need to tap the left bumper to use her tactical ability, which has a cooldown timer. Then there's her unique ultimate ability, which is aimed at helping her teammates out as quickly as possible. 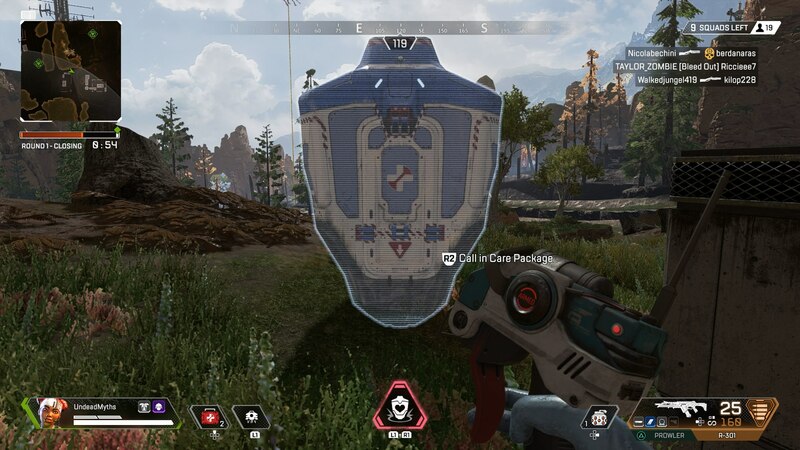 Combat Medic (Passive) - When you go to revive teammates that have been knocked down, you revive them 25% faster, and you're protected by a small shield wall. DOC Healing Drone (Tactical) - Summon a drone that automatically heals nearby allies over a small period of time. Care Package (Ultimate) - Summon a care package to a specified location with a flare, which contains high-tier, defensive loot items like shield cores and armor. 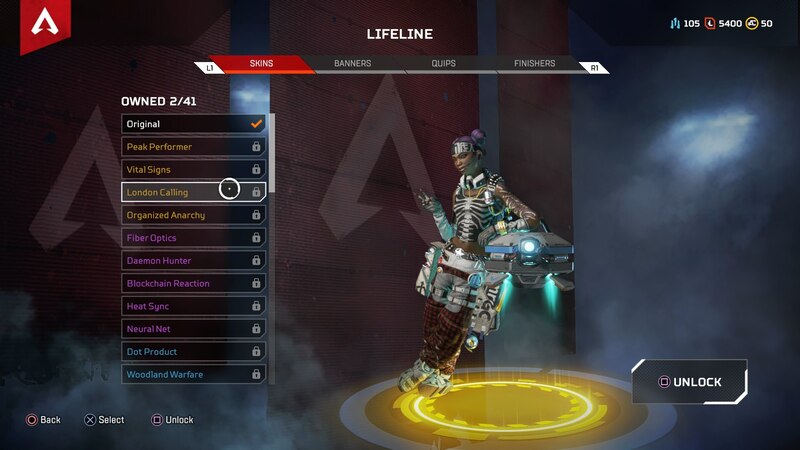 Lifeline is arguably the most healer-orientated character in all of Apex Legends. Sure, there's Pathfinder, but Lifeline's abilities are all dedicated to healing her teammates as rapidly as possible. Play accordingly, keeping Lifeline near the back of your formation when venturing out, and always protecting her wherever you go. If a teammate gets downed, you want to deploy the Healing Drone, and then get your other teammate to cover you while you run to revive your third teammate. Since you've got that shield protecting you once you're in the act of revival, your main worry is getting to the downed teammate, because the shield should see you the rest of the way. It's really important to time the Care Package ultimate just right. You don't want to use it in the middle of a fight, because there's always a risk that an enemy team could steal it from you when it hits the ground. So try and wait until after the fight is over, when your team are wounded and in need of some healing items, to call in the Care Package. 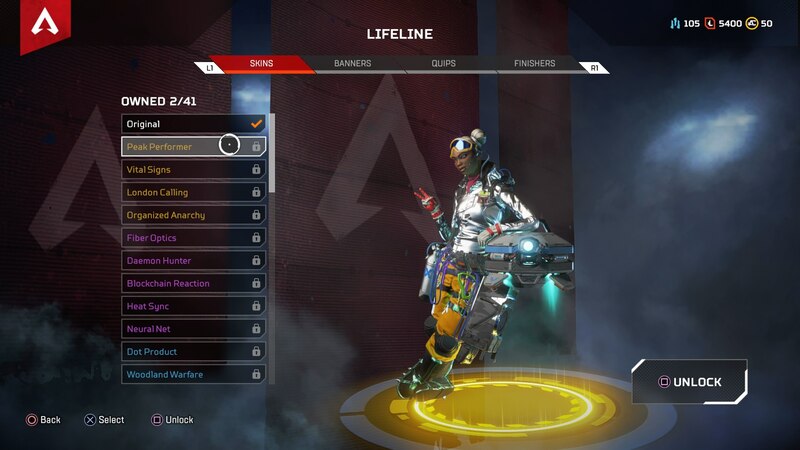 Below, you can see all the availble legendary skins for Lifeline in Apex Legends. You'll need to unlock each skin in either an Apex Pack, or by shelling out 1,200 crafting materials. 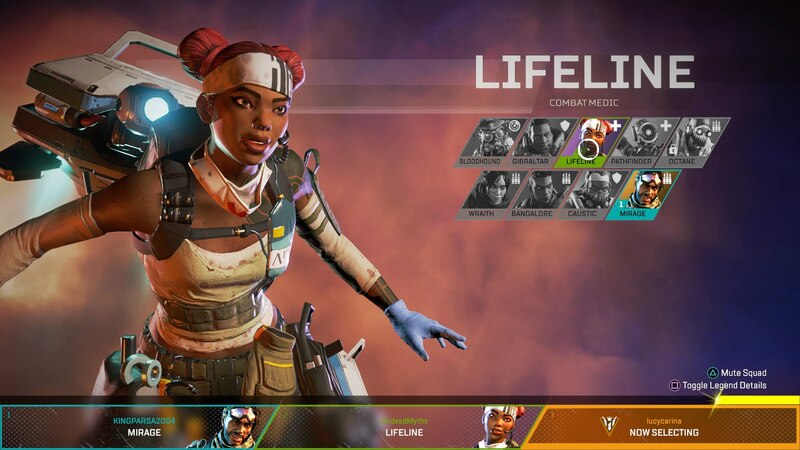 Mala Lee is the voice actor behind the role of Lifeline in Apex Legends. Lee's previous credits include mainly work in various anime series', including Avengers Assemble, RWBY, Fate/Extra Last Encore, Mob Psycho 100, Berserk, and many more.